The brand new TAL Water-Based Epoxy Grout offers excellent chemical-, acid- and stain-resistant properties. It further boasts outstanding workability, making it easier to apply than traditional resin-based epoxies. “This is the first water-based system in the local market and has been formulated specifically for ease of application and clean-up,” says Gela Ohl, marketing manager of TAL. 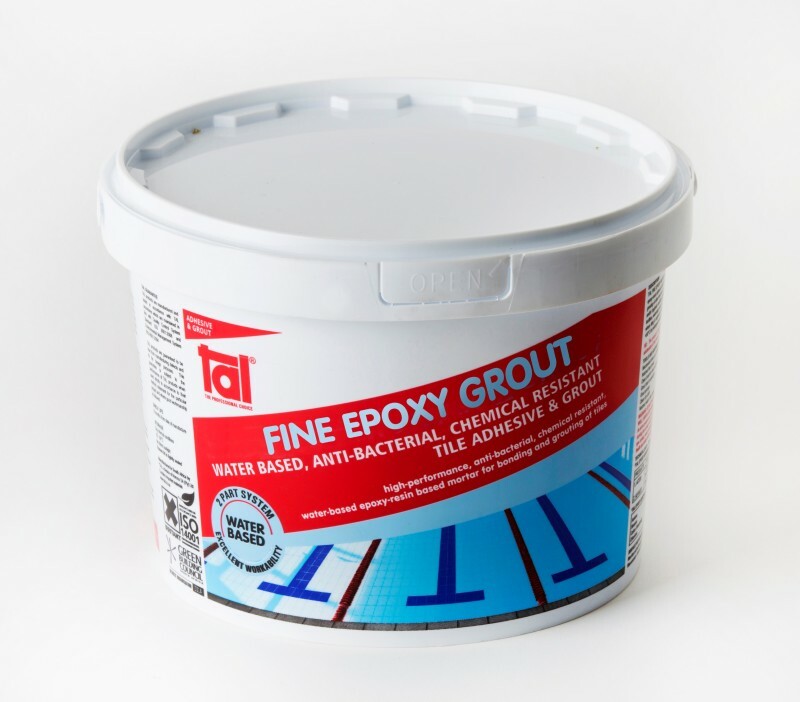 Available in light grey and white, TAL Water-Based Epoxy Grout comes in a two-component kit, containing a resin and a hardener, both in paste form. Mixing of complete packs is preferred, however, part-mixing can be done provided the exact 1:1 mix ratio is followed. After mixing, the product is useable for approximately one hour at 20°C. Being water-based, TAL Water-Based Epoxy Grout doesn’t require any heavy chemicals for cleaning. Using a damp sponge, cleaning should be done immediately after grouting. Tools can be cleaned with clean cold water, but if the material has dried or for more stubborn residue, TAL Epoxy Cleaning Fluid or Gel can be used. TAL Water-Based Epoxy Grout is ideal for use in abattoirs, breweries, dairies, hospitals, food and beverage production and preparation areas, swimming pools, bacteria and mould-growth areas. It is also well suited to areas that require high levels of chemical resistance, acid resistance and those subjected to high-pressure hosing and steam cleaning. The TAL Warranty Programme offers a ten-year warranty on any tiling installation, provided a materials and methods specification is issued by TAL for the project, which ensures that TAL products are used in strict accordance with the specification and the installation is undertaken by a TAL-registered tiler and monitored by TAL.